40 years ago on this date in 1975, a hotshot young director, three terrific actors, a constantly evolving screenplay, a troublesome mechanical fish and choppy, unpredictable waters all came together to create a cinematic masterpiece, and the movies would never be the same. 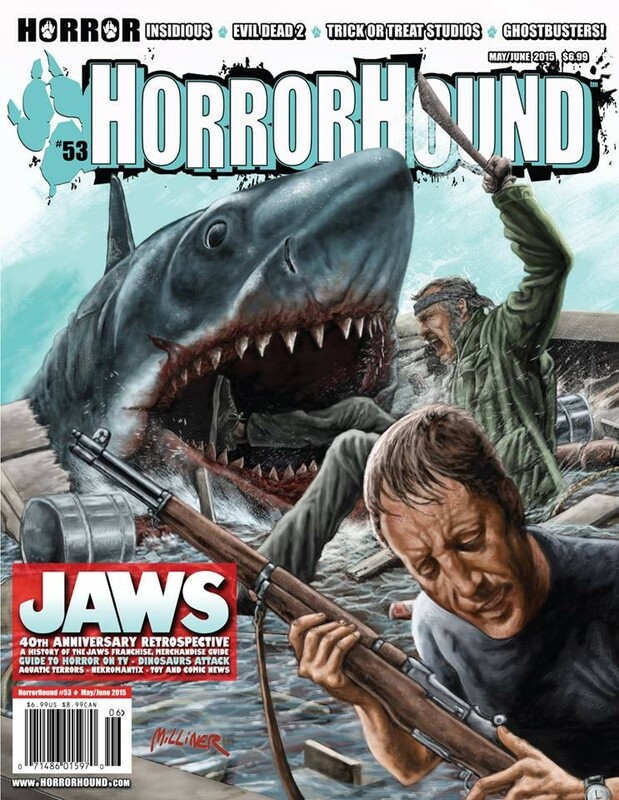 To commemorate the magic that is Jaws, HorrorHound magazine has released an anniversary retrospective for its current May/June issue. Before Jaws was released on June 20, 1975, there really was no such thing as a ‘summer movie’. But the huge lines around the block and record-breaking box office for the Steven Spielberg movie about a killer great white shark changed all that. 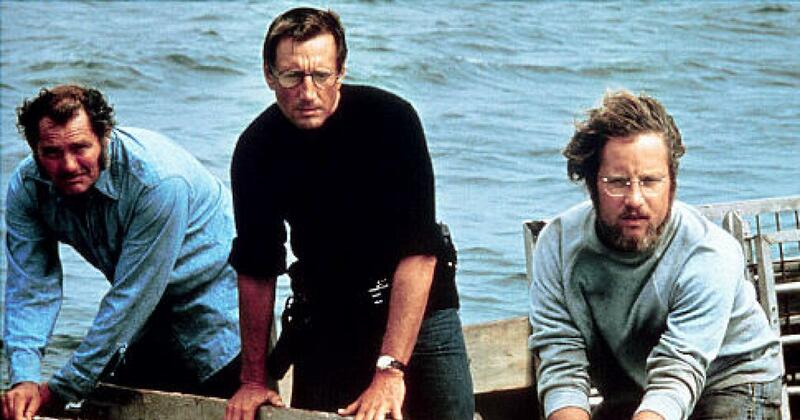 Starring Roy Scheider, Robert Shaw and Richard Dreyfus, the Universal blockbuster was a rip-roaring horror adventure b-movie, elevated to A-level status by the talent of everyone behind it. Today, the movie is just as thrilling and frightening, whether you’re seeing it for the multeenth time or for the very first. As for HorrorHound magazine, which comes out bi-monthly and covers the world of horror in movies, home video, comic books, toys and more, and is known for their excellent retrospective issues like this one, this serves as a wonderful tribute to the iconic film. Delving into what went into the making of the film and its impact on the cinematic world, the issue also covers the incredible merchandising that erupted, also a first for movies, along with all the other killer fish movies that followed in Jaws’ wake. For fans of the movie, this is an issue not to be missed. 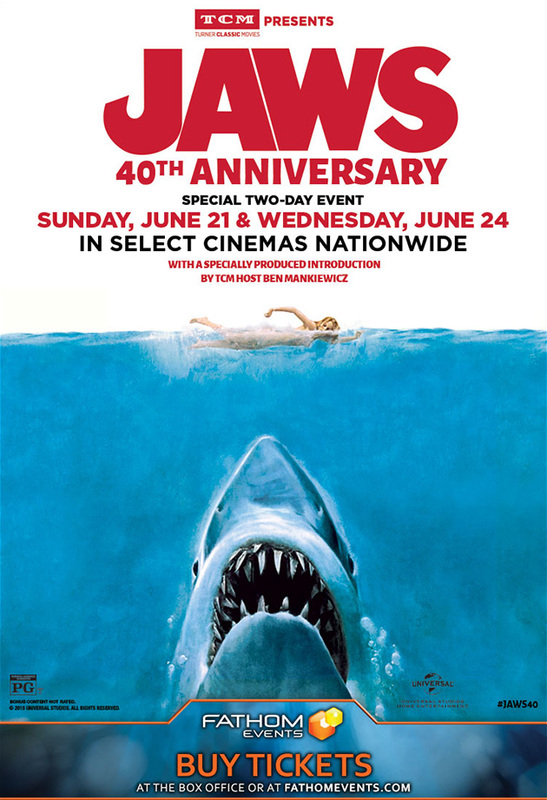 For those who weren’t around back in 1975 to see the film when it was initially released, or soon after with the re-release, when it still ‘wasn’t safe to go back into the water’, TCM, in conjunction with Fathom Events, is releasing Jaws in select theaters on June 21st and 24th. If you haven’t experienced Jaws on the big screen, now’s your chance.